Less than 14 months after homegrown cab aggregator Ola raised $1.1 billion in fresh funds from SoftBank Group Corp, and other investors, the Japanese conglomerate has reportedly offered to plough in another $1 billion. But the start-up is not exactly jumping at the opportunity keeping the shareholding structure in mind. People in the know told The Economic Times that SoftBank's founder and CEO Masayoshi Son and Ola's co-founder and CEO Bhavish Aggarwal have "met multiple times" recently but the Bengaluru-based company wants to avoid the "imminent risk" of accepting such a big investment. After all, SoftBank already owns about a 26% stake in Ola at present. "The possibility of giving SoftBank another 10-15% stake would be the reason why Aggarwal may not accept the offer in its current form," a source told the daily. In 2016, too, he had refused a $1-billion offer from SoftBank because he did not want to cede control to the group. Significantly, the world's largest technology investor has made no bones about wanting to increase its ownership in the ride-hailing company. Last year, SoftBank had attempted to buy additional stake from Tiger Global, one of Ola's earliest backers, but the discussions had taken place without Aggarwal's consent. Hence, according to the daily, he has been adding allies to the company board ever since, along with proactively shoring up his rights to safeguard the company from a possible sale or merger. But that's not to say that SoftBank's offer is being rejected outright. According to sources, Aggarwal may consider a smaller amount from the Japanese investor, or bring in other investors, too, for the new funding round. Ola could certainly do with more capital to bankroll its plans to aggressively grow its food delivery business, Foodpanda, as growth in the ride-hailing industry is slowing. The biggies in the ride-hailing space, Ola and Uber, posted 20% growth on average in 2018 to 3.5 million rides across all segments, including taxis, autorickshaws, and shared cabs. But while they have been steadily increasing their absolute number of daily rides in the past two years, their growth has been sharply slowing down. According to the daily, in 2016, the duo had collectively posted a 90% growth to 1.9 million rides a day, but last year growth slowed to 57% to 2.8 million rides. Supply constraints courtesy falling driver incomes - which has resulted in frequent strikes by drivers - has made matters worse for the sector. This has pushed both companies to expand into new areas, even as they strive to become profitable in the taxi aggregation business. 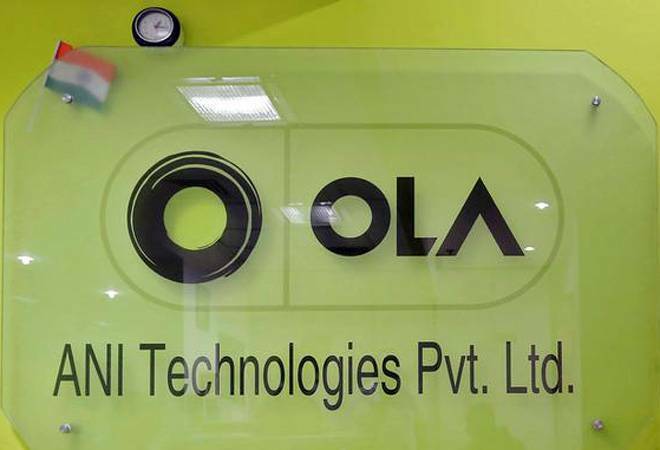 Ola, for one, is looking to leverage its distribution platform in adjacent categories where the supply and demand requirements are similar to the taxi aggregation business. Like pharma retail, a high frequency category that boasts healthy margins even after discounting. In fact, Ola is reportedly close to finalising an investment in the fast-growing e-pharmacy sector apart from investing more funds in pushing Foodpanda, which it acquired last December. To this end, Ola has already ensured funding from Flipkart cofounder Sachin Bansal and existing backer Steadview Capital. These infusions will total up to around $200-250 million, the daily claimed. Singapore's sovereign wealth fund Temasek is also likely to infuse primary capital in the company as part of the ongoing financing round. The entry of Temasek, which has aligned its voting rights with Ola's founders, and Bansal will help Aggarwal protect his turf since they will together hold a 7-8% stake in OIa. Then there's Yuri Milner's DST Global, which reportedly owns about 6% stake, and had given its voting rights to Ola founders at the time of the investment in 2015. The start-up's cofounders, meanwhile, collectively own 10-11%, which means that Aggarwal stands to control about 25% voting rights. "Because of the increase in voting power Aggarwal is likely to be more open to raising more capital from SoftBank than before," an investor in the company told the daily. After all, having an over 25-26% stake would allow Aggarwal to block special resolutions proposed by shareholders, including corporate actions like mergers & acquisitions.